To create a duet with nature one must first cover themselves in bees. Well this is how Sara Mapelli achieves it, and her work truly is a duet. Mapelli dances with 10,000 bees covering her body like a living garment with her body moving in reaction to the push and pull of the bees vibration. As an energy therapist she uses these performances to exemplify the connection we have to nature and calm her clients fear of this. The result is simply mesmerizing, I can only say "Buzz On." Entrance in to the New Year a thaw is beginning in Colorado. Within this thaw is the anticipation of new beginnings. With each Earth turn a blank slate is created in my mind and in that the mindfulness in whats to come. Where I find the greatest inspiration, the greatest rejuvenation, are the stark landscapes that reflect the blank spaces of the mind. I find myself lusting to wander within these ecosystems where others may think that nothing exists and finding hope in a the little intricacies of life that are created there. I am constantly mystified by the adaptation, the ingeniousness of nature, that creates life and beauty out of these marginal lands. 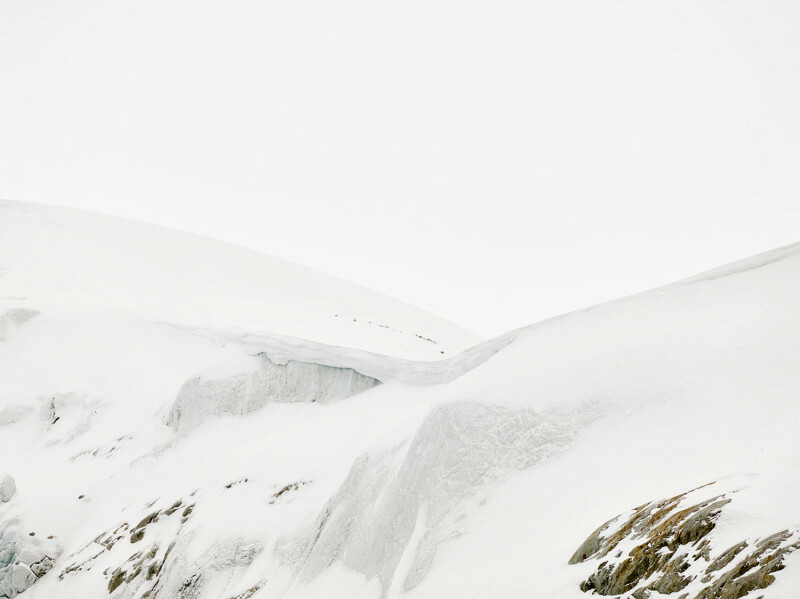 Australian artists Brooke Holm explored the northern most landscape in her exhibition 'Arctic.' In this series she captured the fragile and calm serenity that calls the arctic home. Holm shows this untouched oasis on film, yet though untouched it it evolving. With this series she hopes to raise awareness of to the arctic, of the mysteries in its existance we have yet to discover and of the changing climate and the impact on these lands. I could get lost looking at these photos for hours, exploring all the details. Where there is nothing, anything is possible. Ten years after the disaster of Hurricane Katrina, I'm remembering the time I spent in New Orleans five year ago. I went down to New Orleans to experience something different, something outside of myself. Raised in Colorado the south is a foreign entity to me, what is humidity? During a college spring break I went down south, on an Alternative Break, to volunteer with disaster relief after Hurricane Katrina. Five years after the fact the devastation was sitting right in front of my eyes, and much is still the same today. In a “Now” driven culture where news is provided in shock format visiting a disaster zone so long after the disaster it was hard to believe the ruins that still remained then, and what remains today. We often forget the pain and suffering others are feeling after the initial damage has left our TV screens. But something else struck me while I was in New Orleans: the vivacity of the city. Everyone around me was bright and full of life with jazz running through their veins, the hurricane was strong but the community is stronger. Somethings missing...a striking take on historical paintings and what is now missing from our world today. Artist Brandon Ballengée removes animal species that have since become extinct, extracting with a scalpel their images from historic naturalist paintings. The effect is an in your face representation of the world now, a realization and physical representation of how humans have changed the look of the planet. In essence erasing the biodiversity of Earth as we conquer all corners.